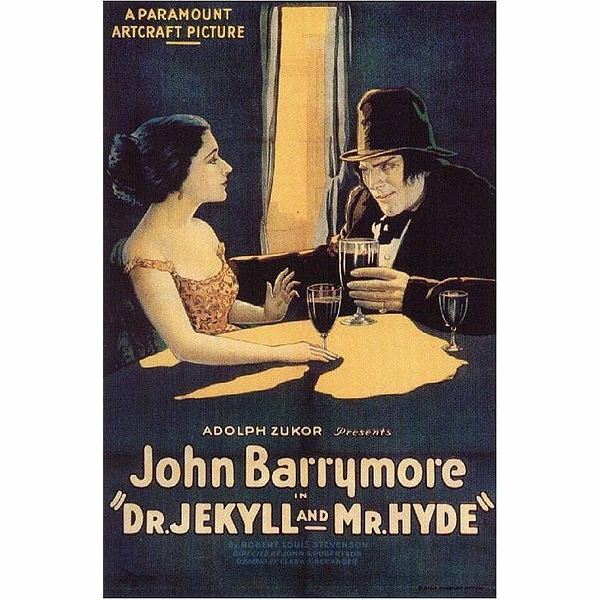 Objective: Encourage discussion and deeper understanding of the short story of Dr. Jekyll and Mr. Hyde. Use this lesson as-is or customize to fit individual classes. The students discuss vocabulary meaning and word recognition, themes, and the writing styles used in the story. Characters are explored, and the concept of prediction – based on reading clues – is introduced and taught. Human motivations and relationships are inter-related. Vocabulary can be used to create mood or suspense in writing. The themes are about the duality of human nature and the internal struggle between good and evil. Prior Knowledge: This lesson builds on vocabulary development, character analysis, and important quotations previously taught. Set-up stations around the classroom with enough chairs to accommodate each student in the group. There should be one printed copy of guided discussion questions per station. Break class into small groups, and divide groups between discussion stations. Each team elects a chairperson to facilitate the dialogue. Give each group about 10 minutes to discuss the questions for their stations, and then have students rotate to the next station. Conclude the discussion portion of the lesson by coming back together as a class and reviewing the key concepts. In this section, students debate questions about plot, story setting, and writing styles of Robert Louis Stevenson. How does Jekyll transform internally and externally during the story? How does Stevenson set the mood and tone of The Strange Case of Dr. Jekyll and Mr. Hyde? How do the social ethics of Victorian London affect the story? Who is the narrator? Why is the narrator important? Why does Dr. Jekyll continue his experiments? Why does Dr. Jekyll believe he can control Mr. Hyde? At the end of the discussion, students rotate to the next station. Leave the printed discussion questions guide for the incoming team. These are just a few of the questions about the characters in the story of Dr. Jekyll and Mr. Hyde. Encourage students to ask their own questions or offer observation about the cast of characters. Discuss the relationship between Utterson, Dr. Lanyon, and Dr. Jekyll. Examine the relationship between Dr. Jekyll and Mr. Hyde; when does the Mr. Hyde personality start to dominate the relationship? How can we be sure we really know a person? Dr. Jekyll’s friends thought they knew him, but they were wrong? What character did you like best or least? Why? What event forced Poole to seek out Utterson’s help? Discussion the relationship between Poole and Dr. Jekyll. Students rotate to a different station, and tackle a new set of questions. Here are some suggested questions to spark debate about key dialogue and quotes from the story of Dr. Jekyll and Mr. Hyde. What was your favorite quote from the story of Dr. Jekyll and Mr. Hyde? Explain Utterson’s quote about being Mr. Seek. How does the dialogue between the characters build the suspense of the story? Do you agree with Stevenson’s approach of telling the story in the third person? Why or why not? Who really wrote the Dr. Henry Jekyll confession? Who brings Dr. Jekyll letter to Dr. Lanyon? Analyze their conversation. Encourage group chairs to come up with other questions and items for debate. This novella is rich with themes and sub-plots, so students may need extra time at this station. What are the central themes? Why does Utterson have trouble reconciling facts with his perception of Dr. Jekyll? How does Robert Louis Stevenson set the tone of the story to convey mystery and suspense? Discuss the themes of good and evil from the viewpoint of the story. How well does Stevenson do the job of portraying the hypocrisy of Victorian London? If time permits, allow students to engage in open debate about the duality of human nature. Group discussions are good ways to share knowledge and learn from others perceptions. Dr. Jekyll and Mr. Hyde lesson plan discussion questions provide the perfect forum for an informal information exchange. Here is a collection of lesson plans and study guides for a unit study on the Strange Case of Dr. Jekyll and Mr. Hyde by Robert Louis Stevenson.